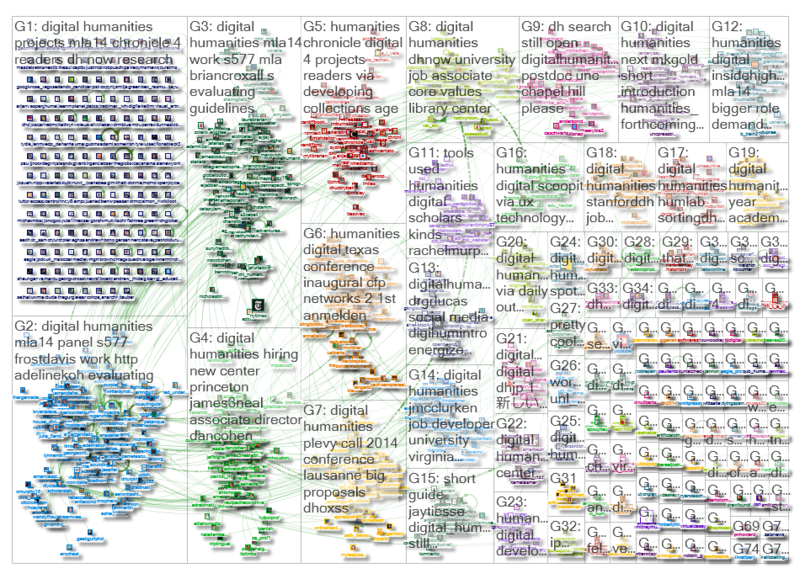 Today, ProfHacker published the second of two posts I’ve written about using social media network analysis and visualization software called NodeXL, titled “NodeXL: Learning from Visualizations of Social Media Networks.” In this post, I talk about what we can learn from importing, calculating the metrics of, and visualizing Twitter conversations that include a hashtag (#) related to a conference. In the example I provide, I talk about the Modern Languages Association convention that happened last January. I’m looking forward to writing a few more posts about how to get started with NodeXL in the coming months.